Libby Miller has always been an unwavering optimist-but when her husband drops a bomb on their marriage the same day a doctor delivers devastating news, she realizes her rose-colored glasses have actually been blinding her. With nothing left to lose, she abandons her life in Chicago for the clear waters and bright beaches of the Caribbean for what might be her last hurrah. Despite her new sunny locale, her plans go awry when she finds that she can�t quite outrun the past or bring herself to face an unknowable future. Every day of tropical bliss may be an invitation to disaster, but with her twin brother on her trail and a new relationship on the horizon, Libby is determined to forget about fate. Will she risk it all to live-and love-a little longer? From critically acclaimed author Camille Pag�n comes a hilarious and hopeful story about a woman choosing between a "perfect" life and actually living. About Camille Pagán (Author) : Camille Pagán is a published author. 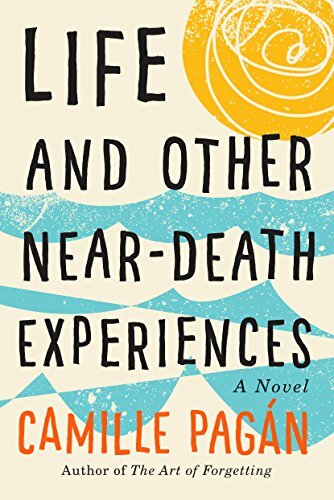 A published credit of Camille Pagán is Life and Other Near-Death Experiences. Articles like these should be greatly appreciated. I'm happy to see that people worldwide are still seeking these data and gauning better skills within themselves. Microsoft azure, the latest technology innovation is another great path for students to move towards a better future. They must read through the details and learn more things on far cry aspects. 3/27/2018 James Kin said: it is good,i am happy with your explanation. for best web development company and mobile app development company NYC please contact us. 3/27/2018 Larry Walker said: Topaz Glow download is released with many new and powerful features. 3/18/2018 Hina Agha said: I and my friend Imran Abbas has read this interesting book. We have enjoyed the every chapter. Thanks for such an informative sharing. I am happy after reading your post, you have given valid ponits.I have recetly purchased the dogs for sale near me from a pet selling website web portal name only4pets . Thank you once again for your valuable post. 3/10/2018 rock watson said: I truly a agree with your idea godaddy $1 hosting coupon this is very interesting. Do you feel like something more? Are you not satisfied in your life? If so, I recommend you take a look at http://www.heathrow-escorts-girls.co.uk - a great offer of a social agency that will provide you with the highest quality of fulfillment that you have at your fingertips! 2/2/2018 Linda Chaney said: Nice work. Very interesting article, thank you! Your blog has a lots of useful & interesting things for those people who are story lovers. 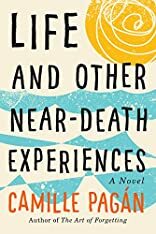 I also love to read story, so I am very happy to read this exciting story of life and other near-death experiences which was written by Camille Pagán. Some of my colleagues are also like to read such kind of story and also provide dissertation writing services to UK students who come to get academic help from finance dissertation writers experts of Dissertation Help UK which is top leading dissertation writing services providers on various subject such as nursing, finance, marketing, business and many more with error free and copy free.